While academics and research are important components of the ILS program, creating a student community that fosters collaboration and inspires action in the world is a leading factor in student success. ILS strives to build a supportive community by following a living-learning model, which combines courses, residential life, social programs, wellness initiatives, and service opportunities into comprehensive Honors Program. Aside from just living together, ILS students are encouraged to develop their leadership skills as Peer Mentors, Section Leaders, and Undergraduate Teaching Assistants in ILS courses, and in the Office Assistant role. This combination of factors promotes the development of knowledge, skills, values, and motivation to make a difference. As part of the living-learning community ILS students live together on the 8th and 9th floors of air-conditioned LaPlata Hall, a fantastic campus location steps away from the Diner, Rec Center, and Xfinity Center. ILS faculty and staff also have their offices in LaPlata to encourage convenient appointments, check-ins, and office hours for students. Current ILS students play an active role in planning, organizing, and implementing community activities, which encourage students to form friendships outside the classroom. Previous activities have included a trip to a local corn maze, Family Dinners, trip to the Baltimore Aquarium, and DC trips. Each year the programs accommodate changing student interests. Visit our Calendar of Events and Facebook Page to see recent and upcoming programs. 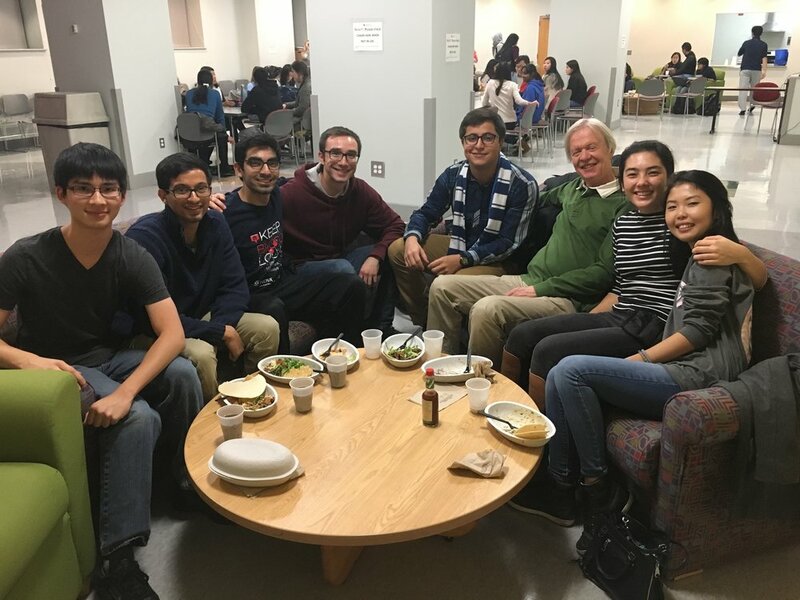 ILS faculty dinners on the first day of fall and spring class are highly popular events that are open to all class years of ILSers, alumni, faculty fellows, and campus guests. These dinners allow ILS students to mingle with faculty and staff from across the university as well as with mentors and partners from local agencies and organizations. Our Assistant Director, Zabrina Anzyl, has a Master's in Student Affairs and brings expertise in student development and wellness to the ILS team. She provides a holistic and comprehensive approach to an ILS education, which augments the academic coursework focus. The transition course for all incoming first-years, HLSC100, includes a lesson on wellness that covers the most common concerns for ILSers, strategies for self-care and stress management, and access to resources on campus that can strengthen multiple facets of a student's wellbeing. In 2016, Wellness BINGO debuted for all ILS cohorts, and students practiced incorporating self-care techniques into their busy lives, and entered to win wellness tools like yoga mats, nap blankets, and water bottles. Wellness is also incorporated into programming, with fresh fruit and vegetables offered at snack tables and minimal artificial sugar content. The Assistant Director discusses students' self-care consistently in advising sessions, and guides students on an individual basis to best suit their unique needs. Finally, wellness is a component of employment expectations for Section Leaders, office staff, and professional staff to role model healthy habits. ILS includes several opportunities for students to pursue leadership opportunities. All first-year students are highly encouraged to participate in the Peer Mentor program, which matches first-years with an experienced ILSer. Mentors are valuable resources for incoming students, who frequently communicate over the summer to offer advice on everything from course selection to what it’s like living in a residence hall, and what to pack! Mentors have uniform guidelines for checking in with their Mentees, and the fall semester offers monthly programs just for members of the program. Recent Peer Mentor programs include a DC scavenger hunt, picnic at Lake Artemisia, Georgetown Cupcakes, and bubble tea night. ILSers can apply for the positions of Section Leaders (SLs) for HLSC100 and as Undergraduate Teaching Assistants (UTAs) for other ILS-required courses. Both positions earn stipends working directly with ILS professional staff in the classroom and are viewed as important leadership roles in the program. Section Leaders teach HLSC100 in pairs, and are trained in classroom management, teaching effectively as a team, creating an inclusive and respectful environment, lesson planning, and equitable grading. In fall 2016, ILS piloted a new course for UTAs training them in similar skills with additional course-appropriate content. Students learn highly transferable skills in both of these positions that transcend the semester they teach. Finally, ILS employs an undergraduate as an ILS Office Assistant (OA) in the LaPlata Honors Office Suite. The OA compiles the weekly community-wide listserv that goes directly to student Inboxes with relevant content on upcoming events, internship opportunities, scholarship applications, research positions, and interesting seminars. The OA also serves as the student liaison between the professional staff and the students, and often supports the Assistant Director with students programming needs. 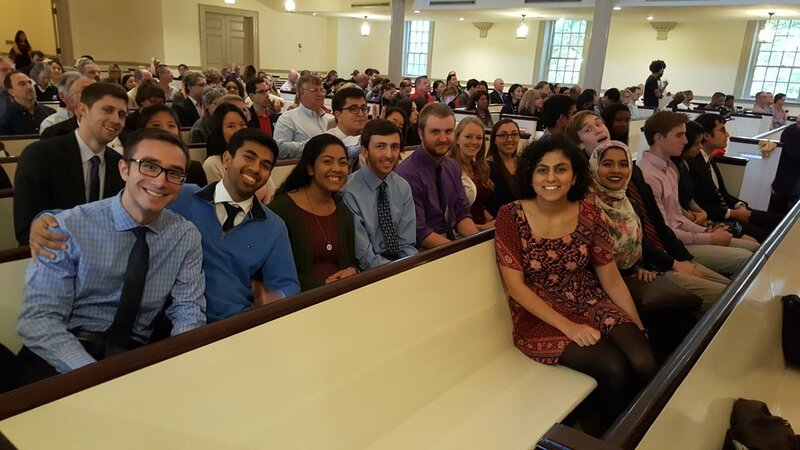 ILS students at citation ceremony in the Memorial Chapel. Dr. Todd Cooke with students in LaPlata Hall.